The same company that can be a genius at creating the next big software package can be a dunce at selling it. Information Technology (IT) salesmanship is not something that all entrepreneurs do well. In the past, you would hire one key sales executive that could generate the leads and sales needed to spur the company from a startup to a major player. If that key player left, your company was basically left stranded. Now, there’s another choice for all companies who deal with trying to get their IT products out the door: Outsourcing IT sales. As the economy starts to heat up, companies are emboldened to bring new products to the market. Businesses looking for a competitive edge are always on the lookout for new technologies, but often the two segments of the economy do not even get the opportunity to meet to make the sale. Bigger companies, that are tied into their established sales network better, often have an advantage and that keeps other businesses shut out of the market altogether. In order to even be considered, you have to have someone on the inside to help you make those connections that other companies have established already. If you are new on the scene or struggling to expand into a competitive market, it can help you to hire a sales company that already has those connections, specifically in the IT marketplace. Lead Qualification – Maybe you can already know how to generate hundreds of leads via your website. That does not mean you know how to qualify the leads. Qualifying leads helps to identify the best sales prospects so that your marketing remains targeted and productive, without wasting time on dead-end leads. Account Management – Once you have made a sale, do you know how to nurture those existing accounts for repeat sales? Typically, a lot of effort goes into gaining a new customer, leaving some of your older clients on the sidelines. By outsourcing account management you can make sure to keep track of existing clients. The IT sales outsourcing company can negotiate new sales or renew contracts when the opportunity to do so arises again. Demand Generation – An expert sales outsourcing company can target your leads to generate demand for your IT products and services. Instead of outgoing calls, they will do inbound marketing through the promotion of your online seminars and website content. For IT professionals who spend most of their lives online, getting leads is less about picking up the phone than finding customers where they congregate online, and bringing them back to your door. Implement New Internet Technologies – If you want to generate sales by using a round-the-clock sales chat feature, then outsourcing will make that possible. Otherwise, you might end up having a sales chat feature that no one is around to man when a customer from a different geographic area drops by. 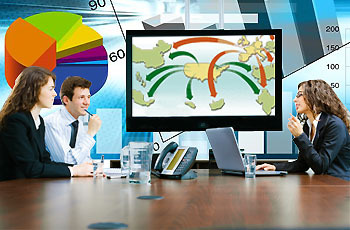 IT outsourcing companies are specialists in using the Internet to create sales opportunities at the time when it is most likely to yield a sale.